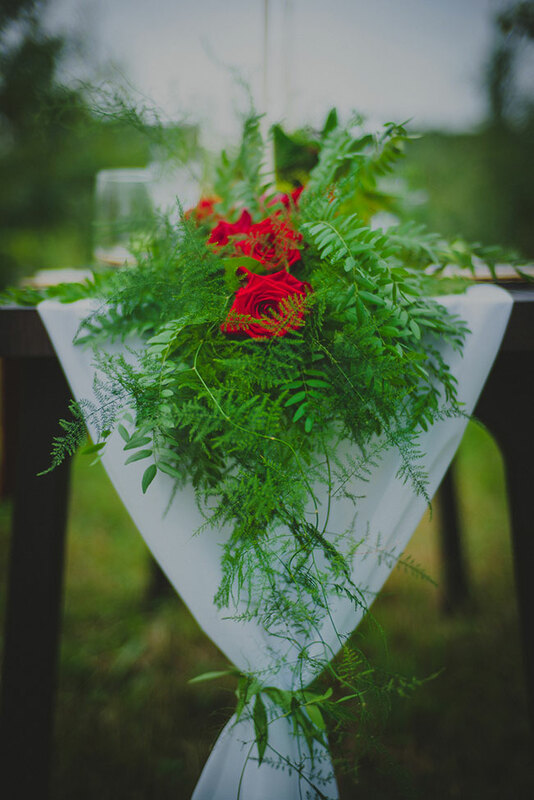 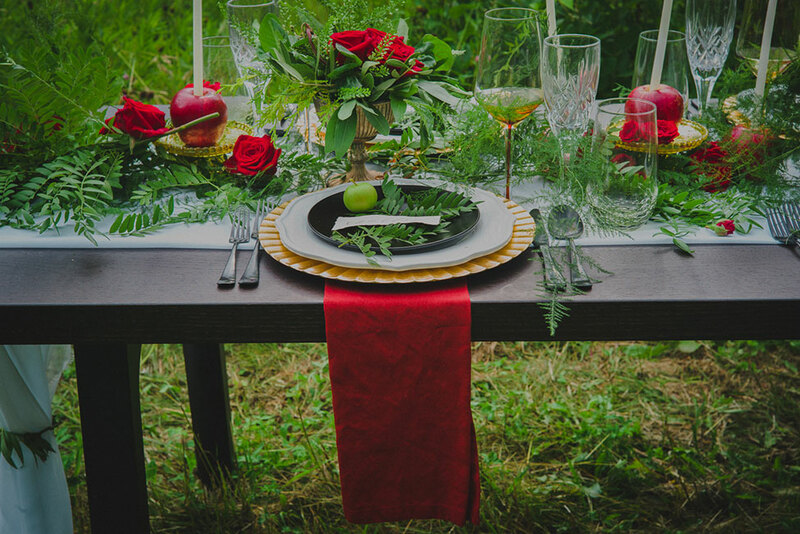 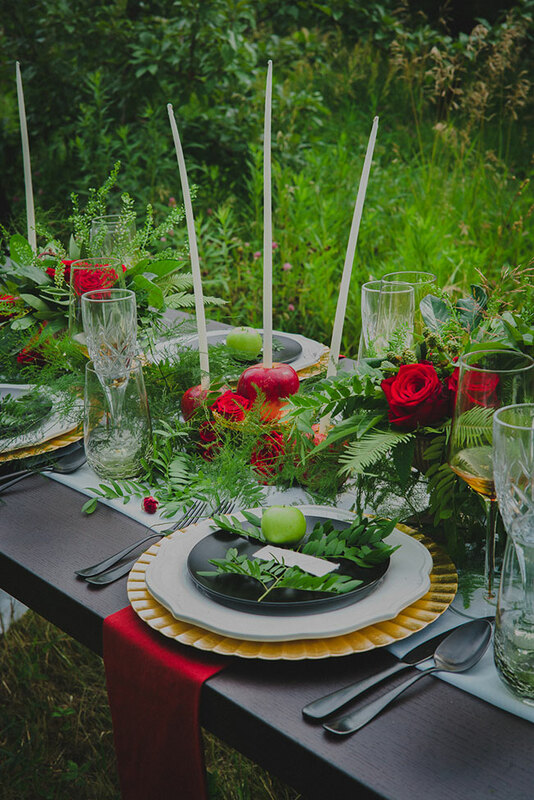 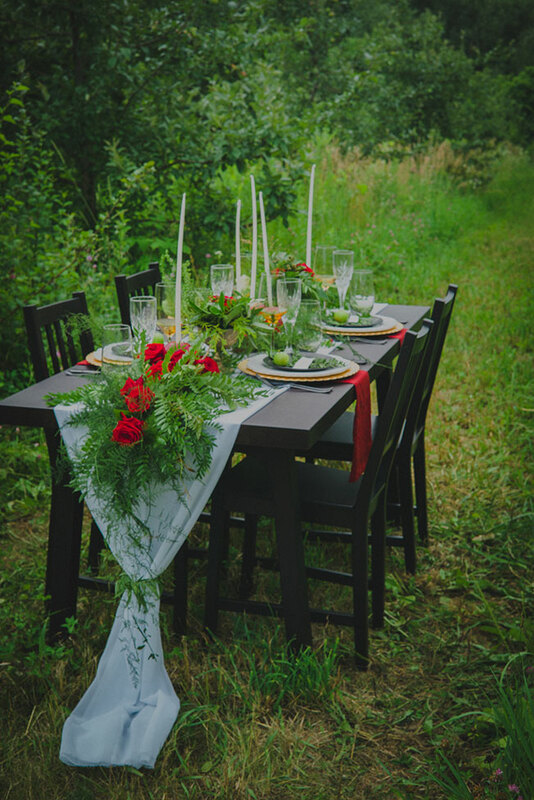 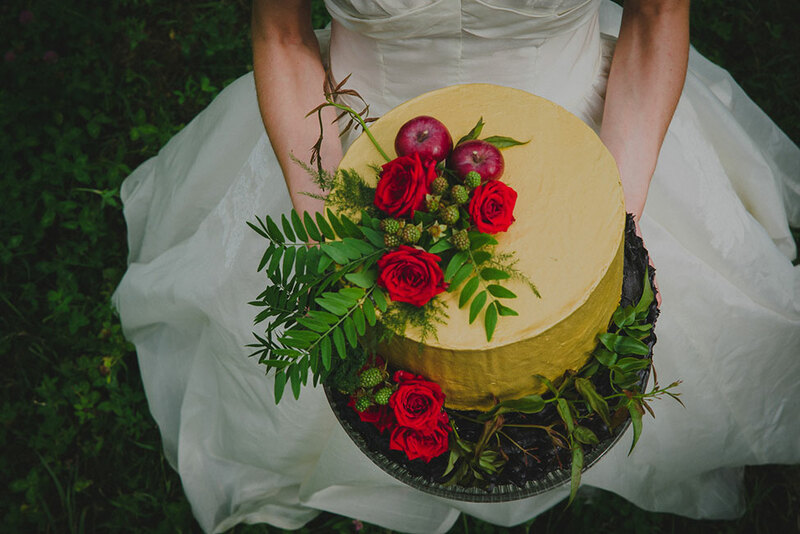 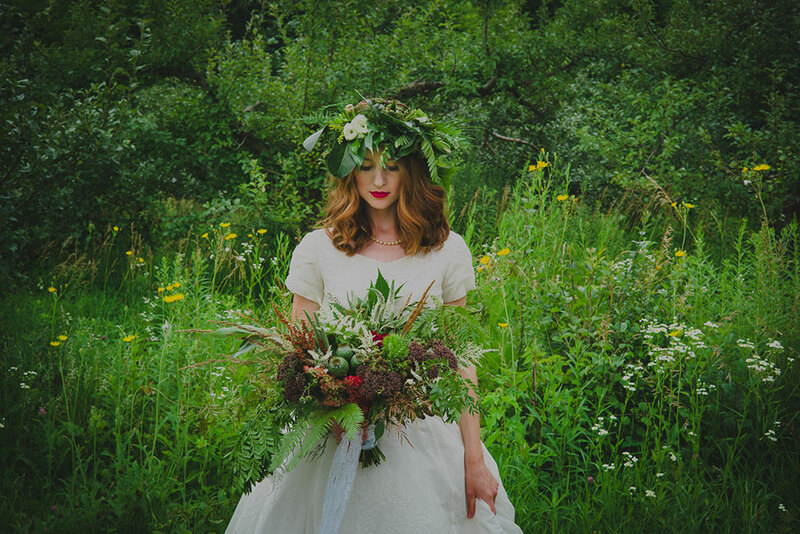 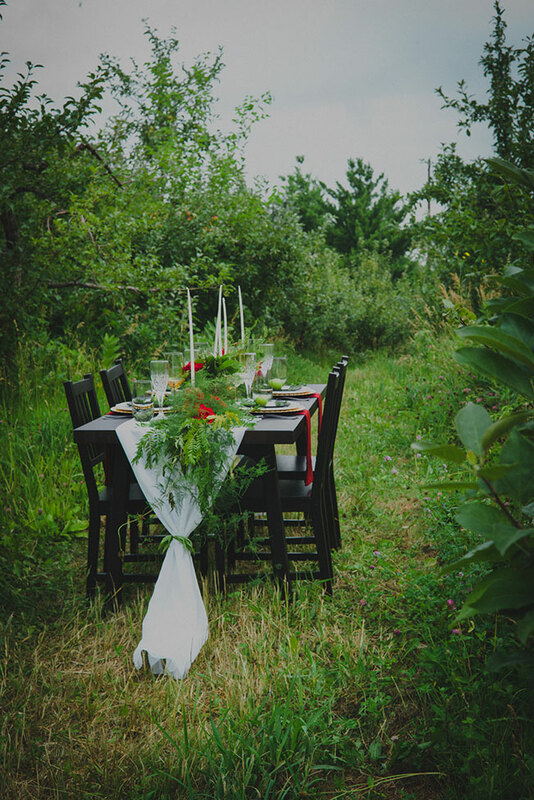 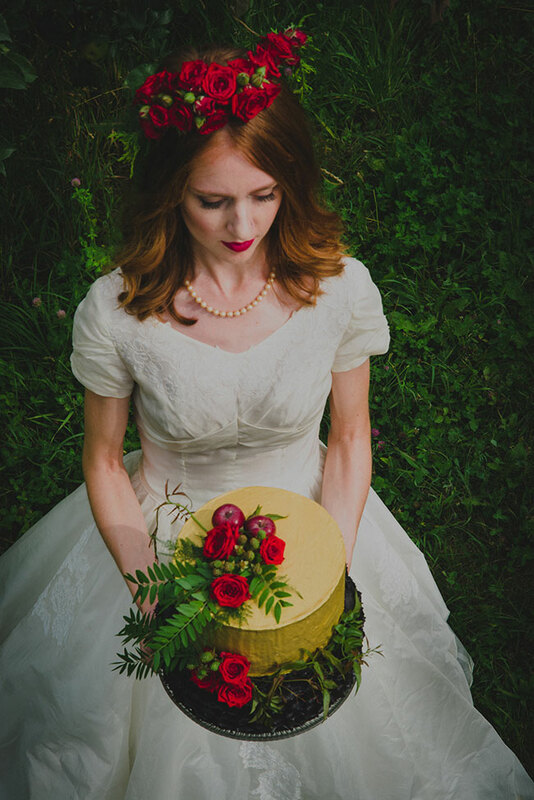 Nestled into the tree lined fields of Sweetland Orchard is today’s styled shoot wedding inspiration that is equally as vibrant as it is moody. 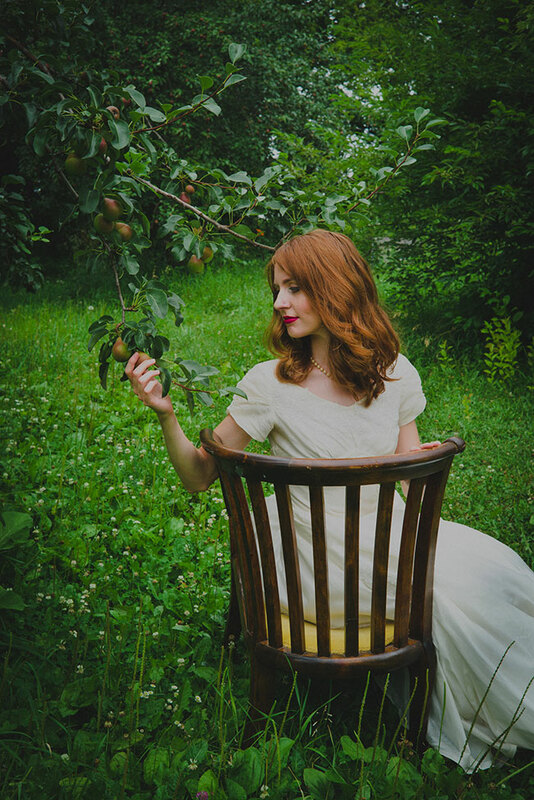 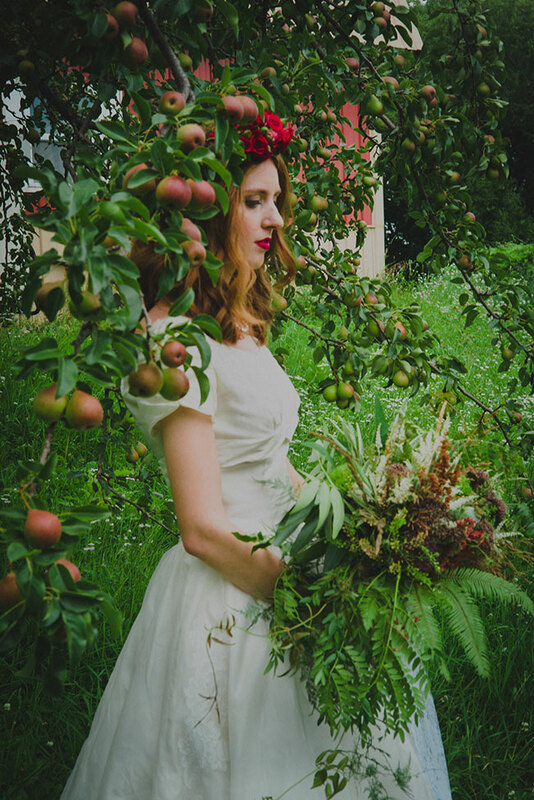 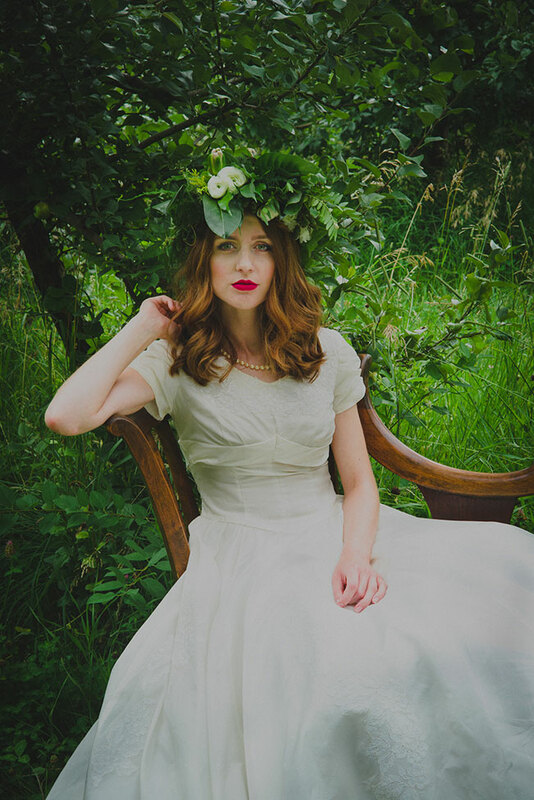 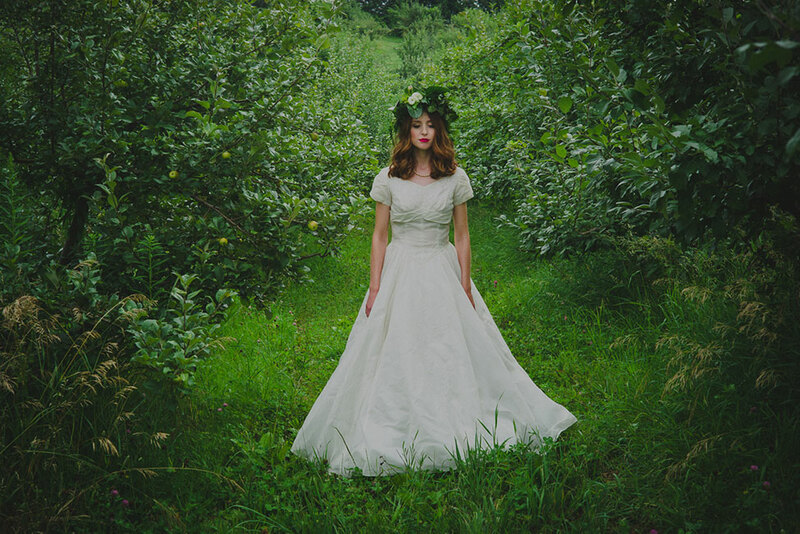 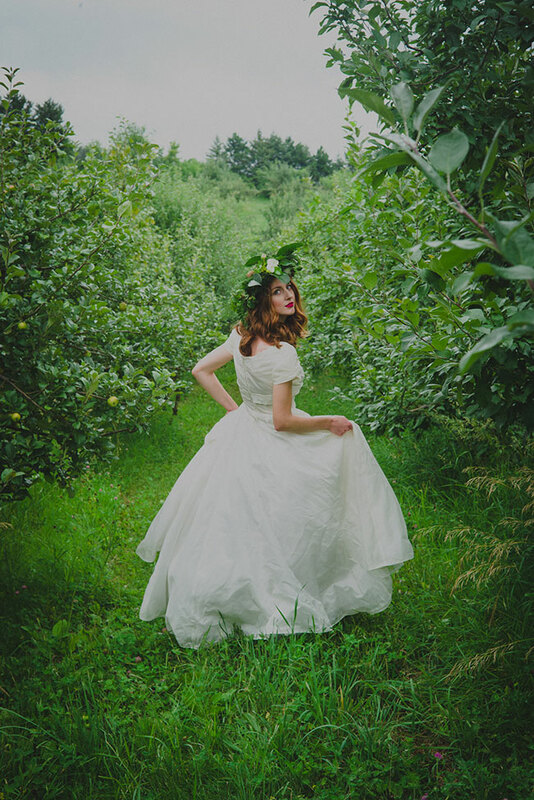 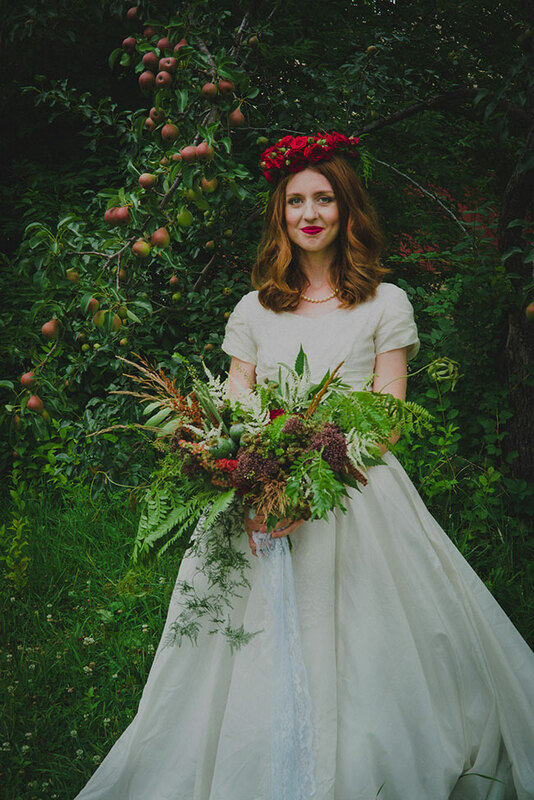 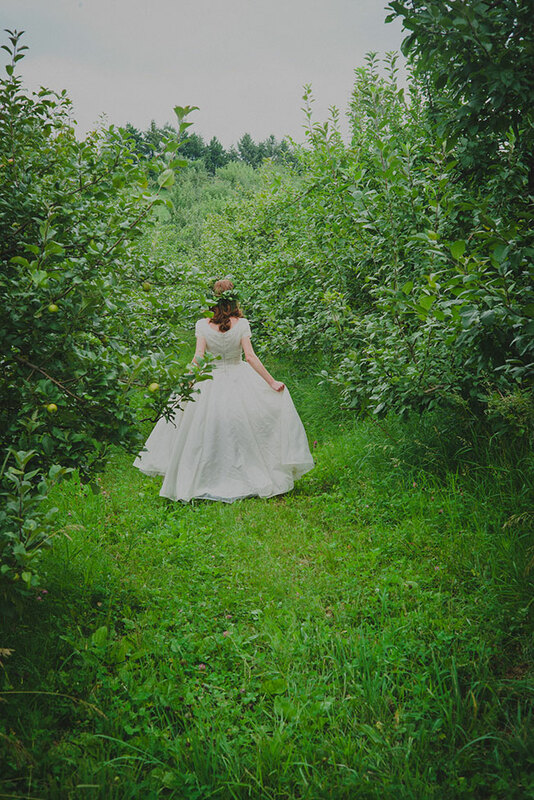 Utter perfection for an end of summer fete, this apple orchard wedding toes the line between vintage whimsy with elegant detailing. 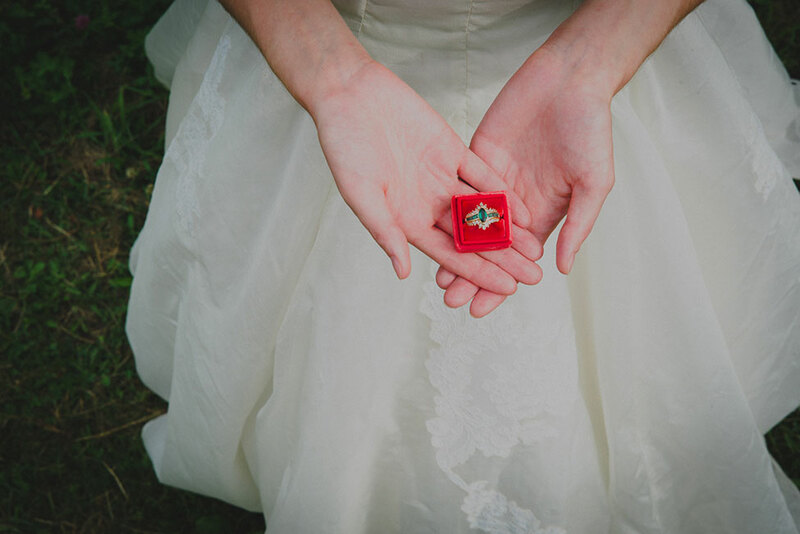 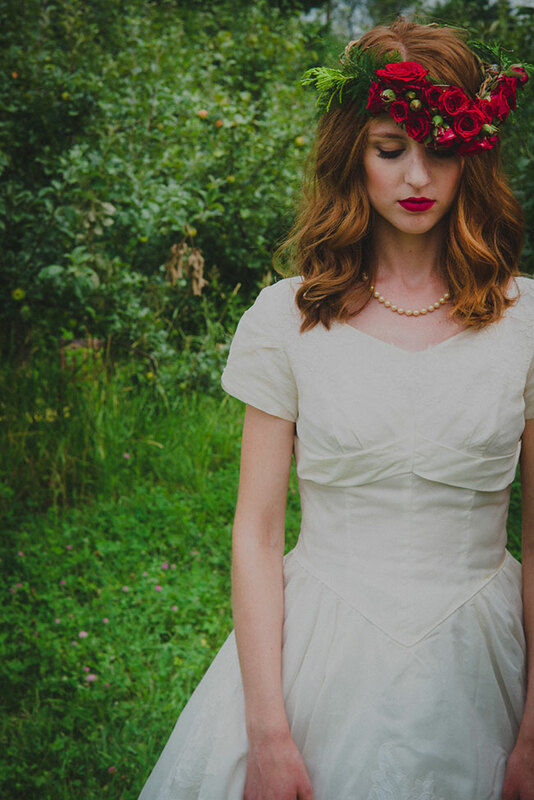 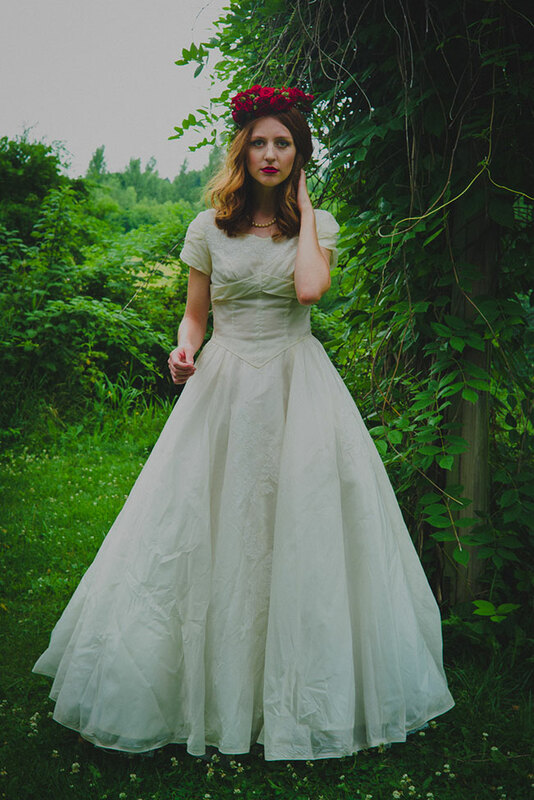 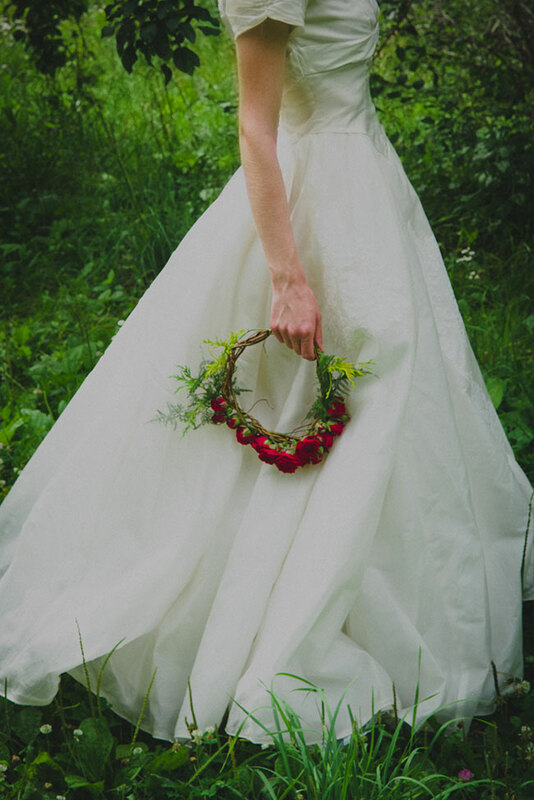 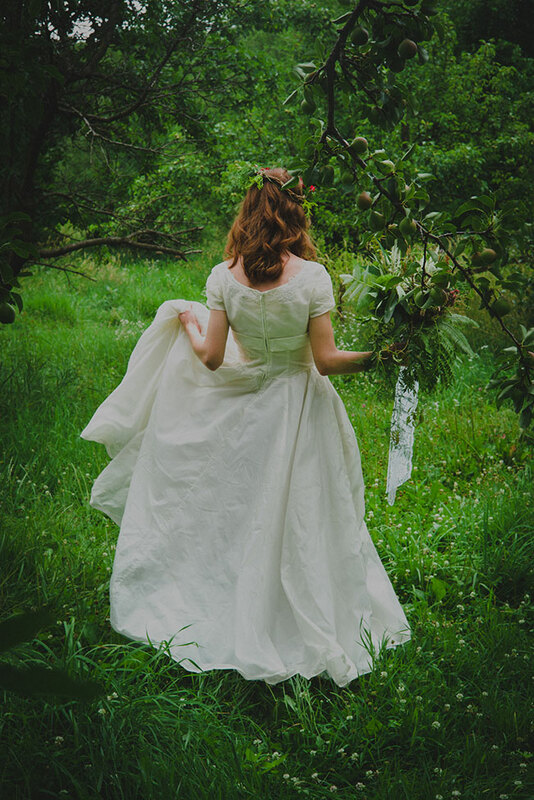 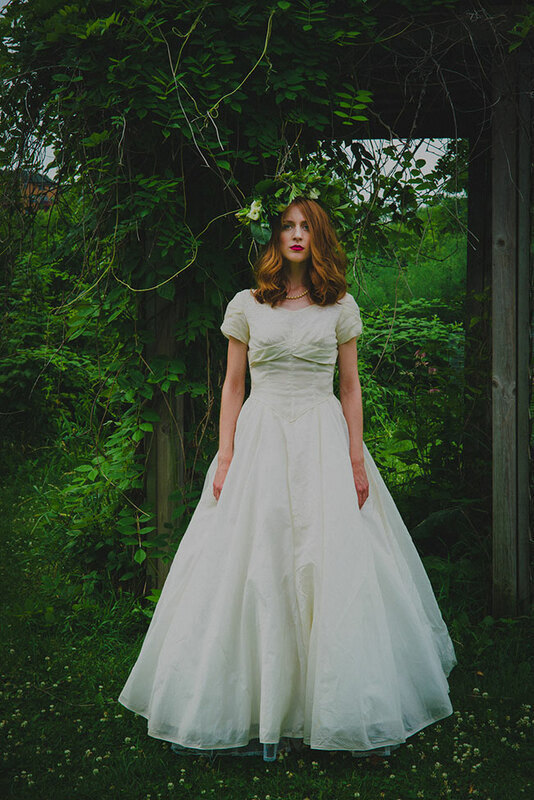 Photographed by Trahms Photography, our bride’s own wedding dress sets the tone, a keepsake passed down through her family worn by her mother and grandmother prior. 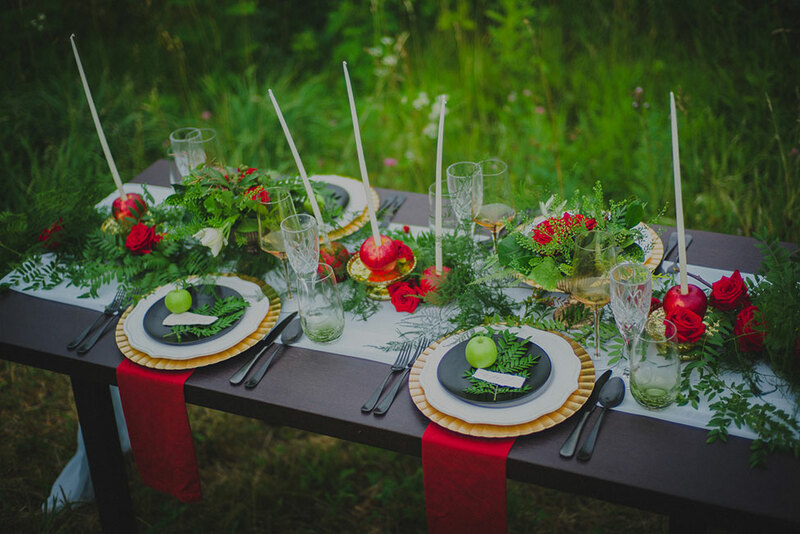 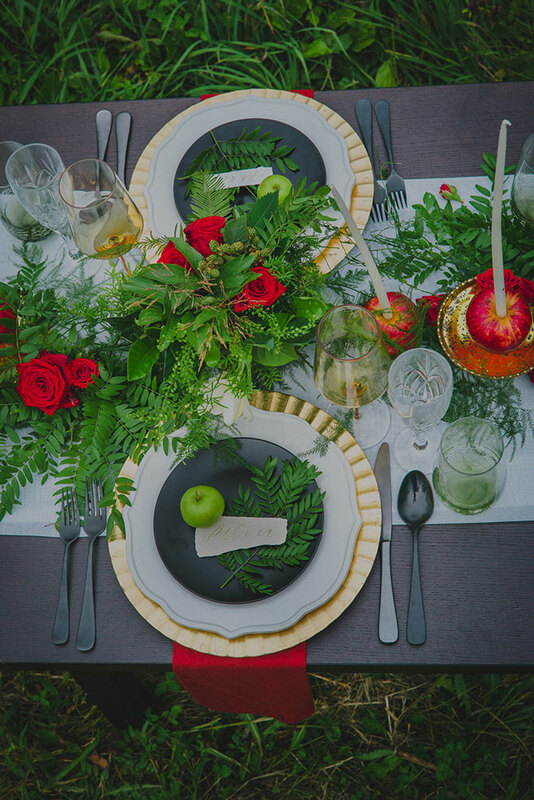 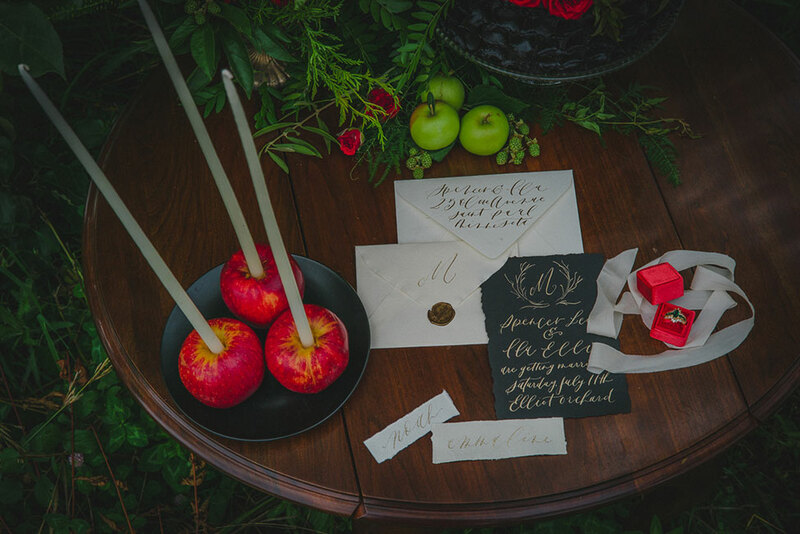 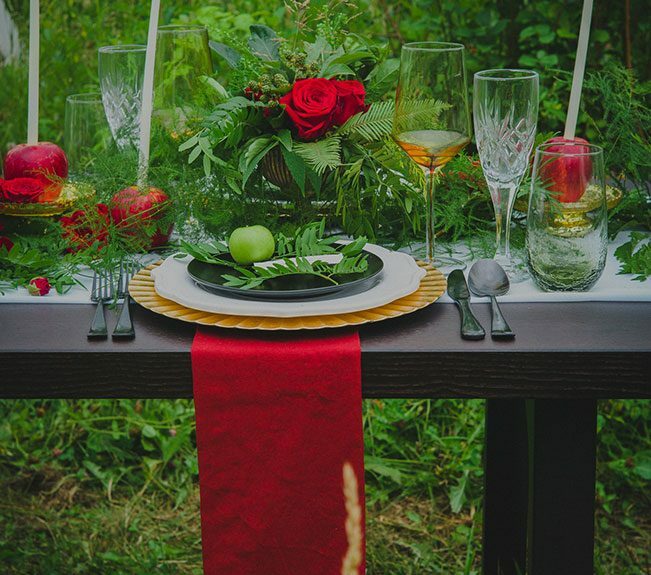 Playing on the haunting surroundings, an outdoor reception table was set lined with gold chargers and skinny candles set a top fresh apples, all accented by lush sprawling blooms that run down the center. 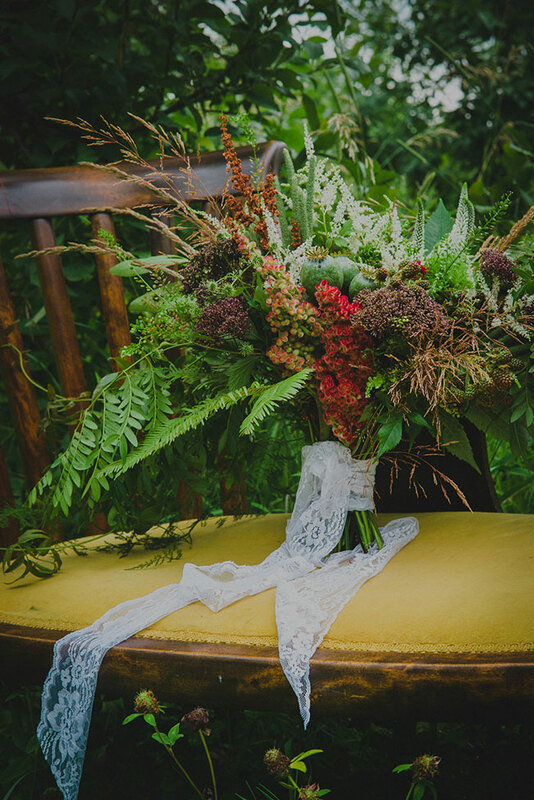 Sprawling blooms along the table served as the perfect jump off point to florist Lilia Flower Boutique creations, from two gorgeous floral crowns to a stunning overflowing bouquet. 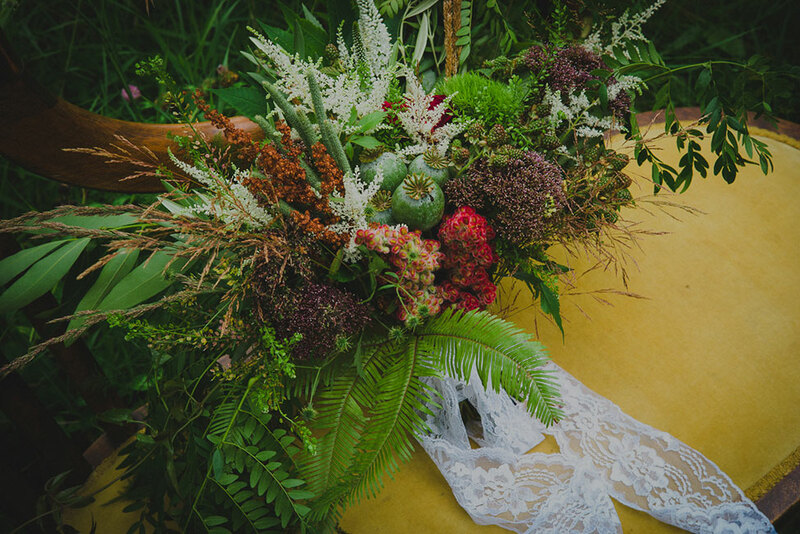 Each exquisite arrangement features not just flowers from the markets, but odds and ends locally found and foraged for, making for the most authentic of creations. 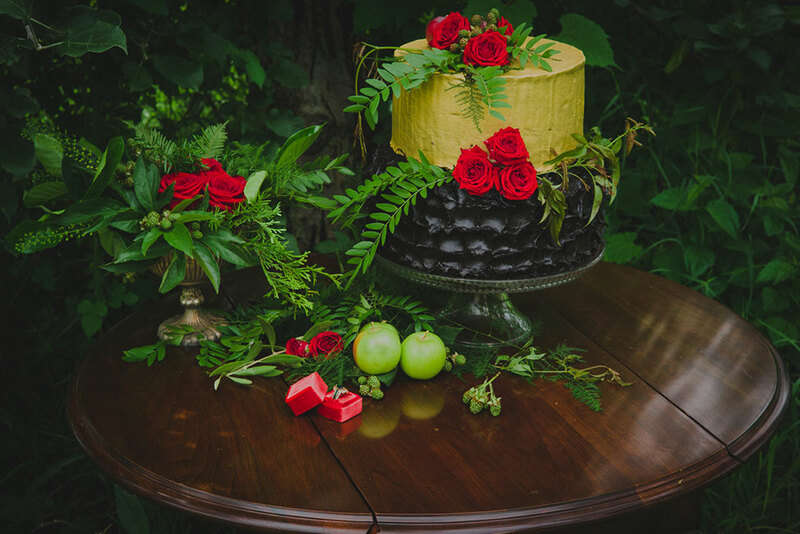 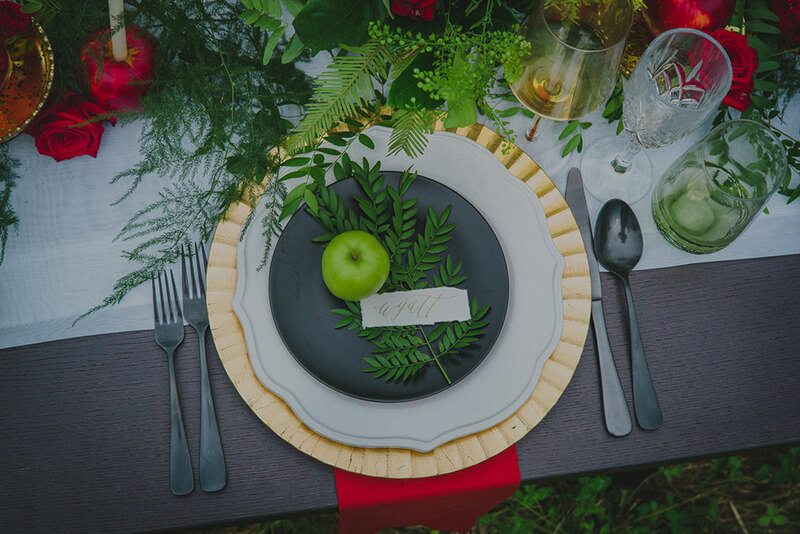 With such a vibrant and moody color palette set for this apple orchard wedding, only a gorgeous gold metallic and black wedding cake that every so dreamily echoed the outdoor reception tablesacpe would do! 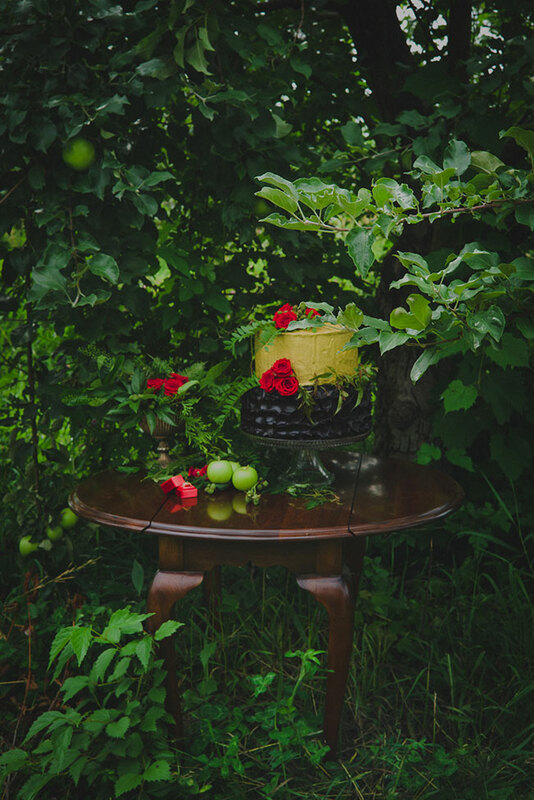 Featuring two tone texture whipped frosting finished with unripened raspberries, apples and roses, this two tier wedding cake shows that it doesnt always take a giant to pull off the drama! 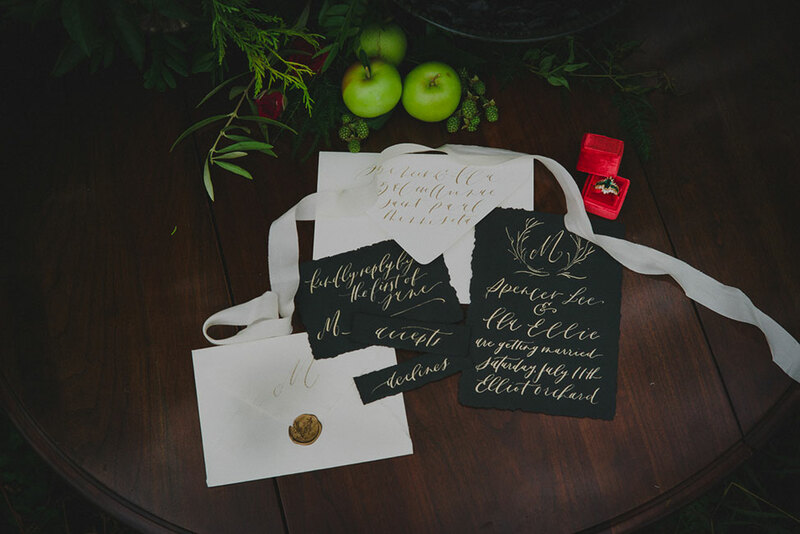 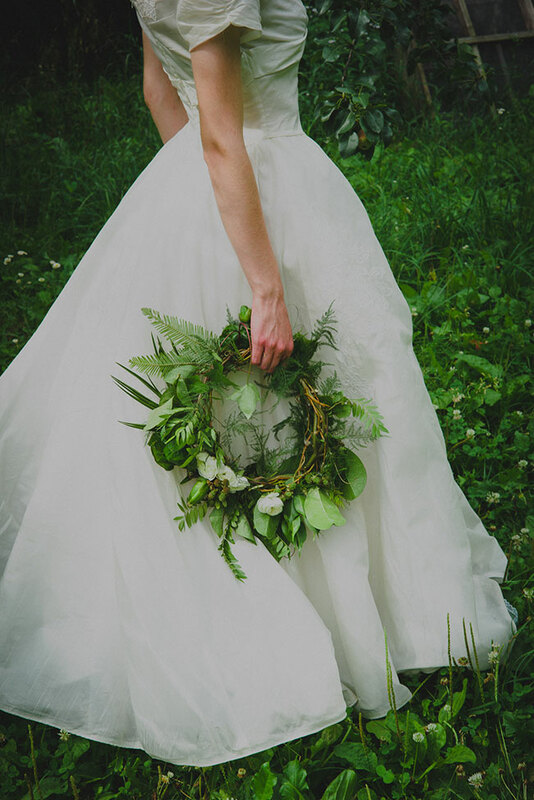 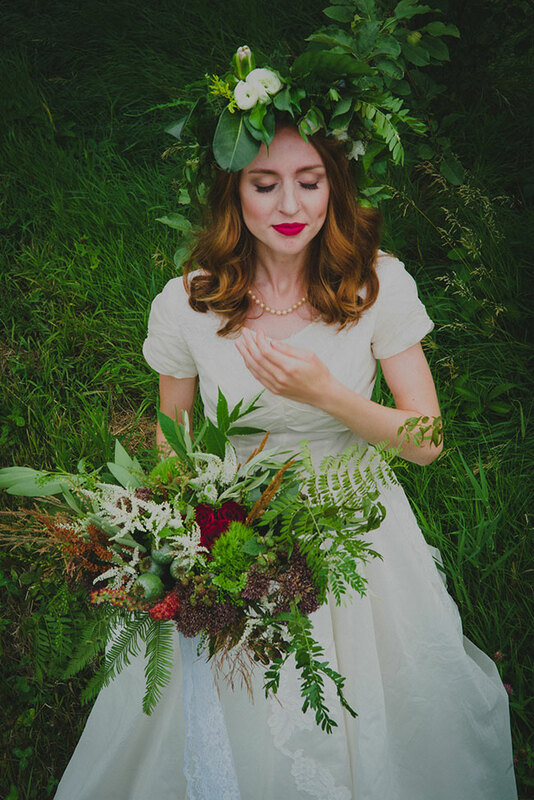 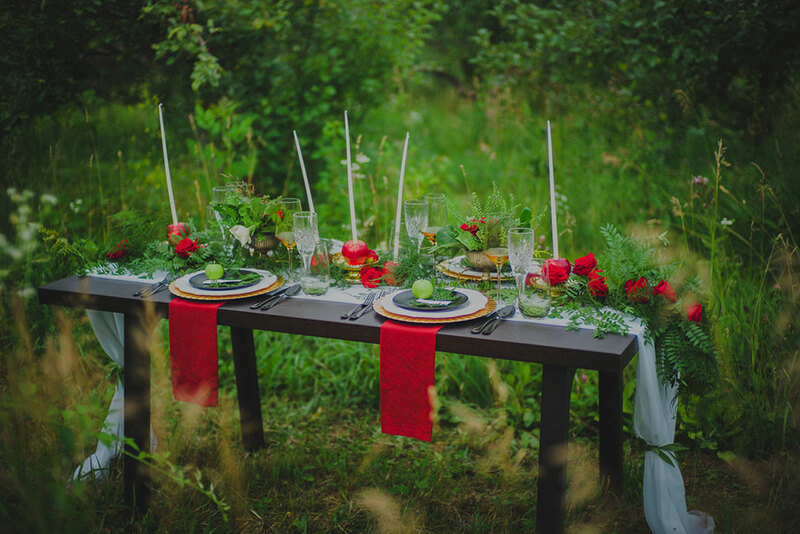 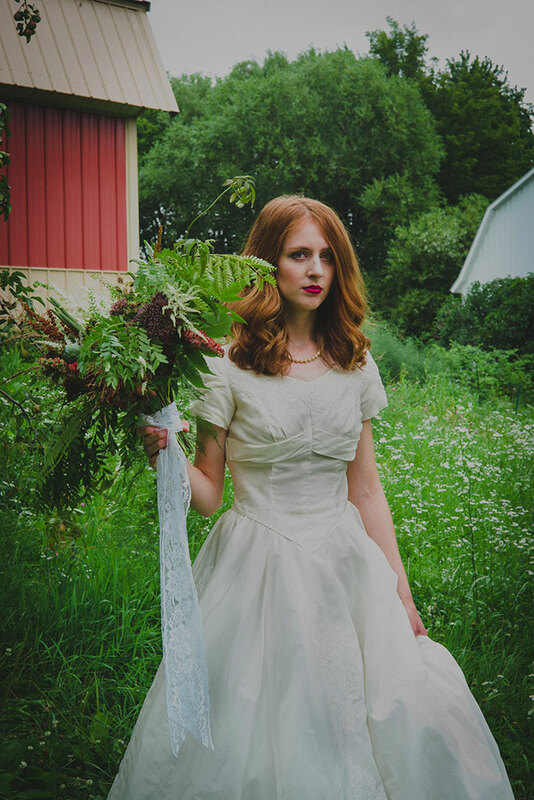 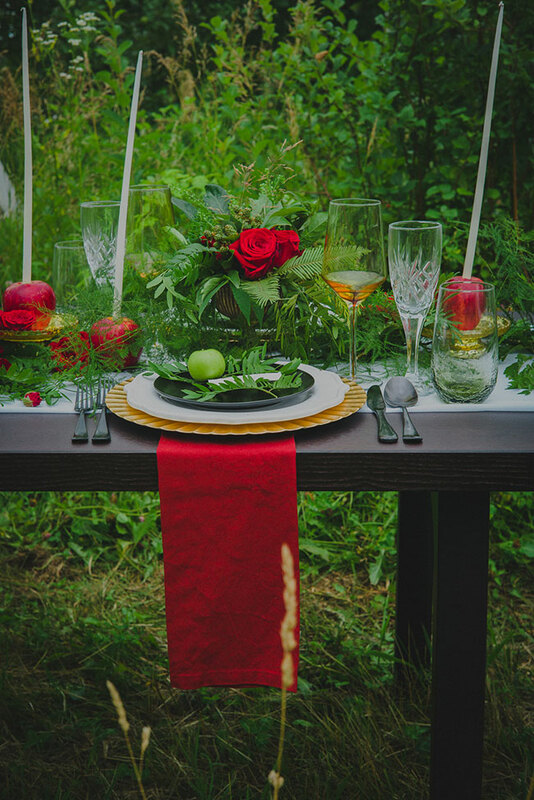 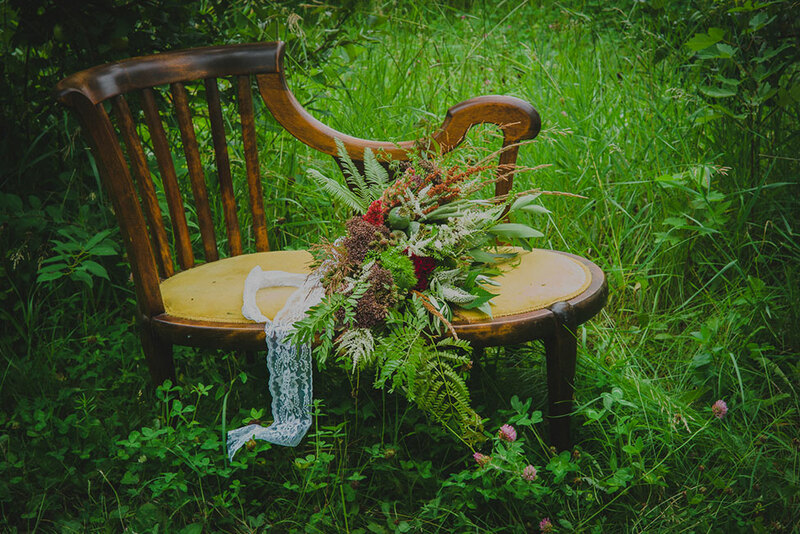 If you’re seeking inspiration for your orchard wedding, this styled shoot reads like a how to for pulling in the elements around you to make for the most unique of orchard wedding!